It’s tempting to think of french toast as primarily a sweet breakfast treat, loaded with everything from butter and syrup to ice cream and overly sweet compotes. But it doesn’t have to be. Our thyme infused Savory French Toast is deliciously different. 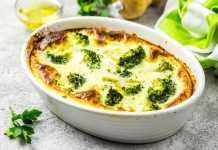 Instead of butter and syrup, it’s served with a creamy, tangy ricotta topping, turning it into a perfect weekend brunch treat with more to it than the sugary empty calories of the more traditional model, think protein, fiber and calcium for starters. Tasting good and good for you! In a medium bowl whisk together the eggs, milk, 1 teaspoon thyme and salt. 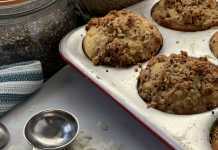 Soak slices of bread in the egg mixture one at a time, about a minute on each side, until bread becomes fully saturated. Place a griddle or nonstick sauté pan over medium heat and add vegetable oil. Working in batches, cook each slice of bread for about 2 to 4 minutes per side, until golden brown. Meanwhile in a small bowl, mix together ricotta, remaining thyme and vinegar. Season with salt and pepper. 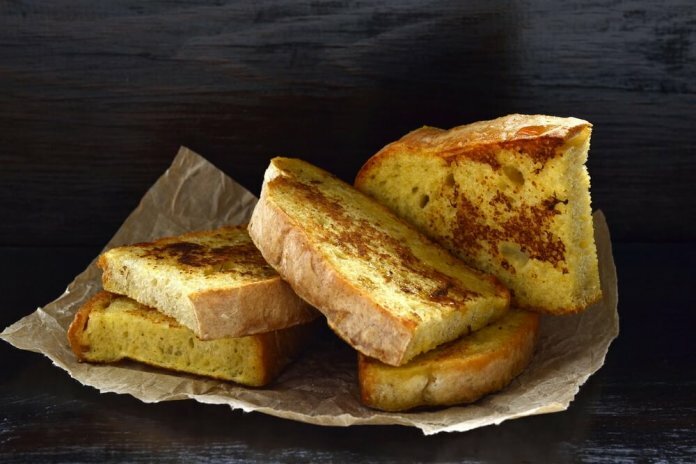 To serve, place a dollop of ricotta sauce on each slice of French toast. You can add all kinds of favorite savory treats to this french toast and topping, like avocado slices, pickled artichokes or sun dried tomatoes. Get creative!